1. The first three numbers indicate the caliber. 2. The next three numbers indicate the weight in grains. 3. The two letters indicate the type of bullet. 4. The last three numbers is a part/control number. 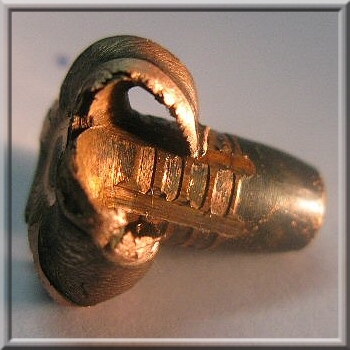 Please check theTechnical Data page to ensure that the bullet is suitable. The fields below are all required. Without any one of them, the order cannot be completed. Should you experience any difficulties submitting this form, please contact us by e-mail with the details of your order. 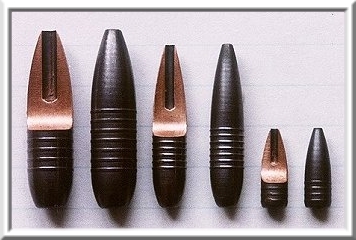 GS Custom Bullets, situated in Port Elizabeth on the East Coast of South Africa, manufactures solid copper, turned, monolithic hollow point bullets for hunting and sport shooting. These bullets are used by hunters on several continents, hunting from the smallest of antelope to the largest of dangerous game, using the smooth HP bullet, as well as the more popular HV, FN and SP bullets with the patented drive band concept. GSC bullets are configured for the highest possible ballistic coefficients. SP bullets are mainly used for sport shooting. All GS Custom Bullets are coated.